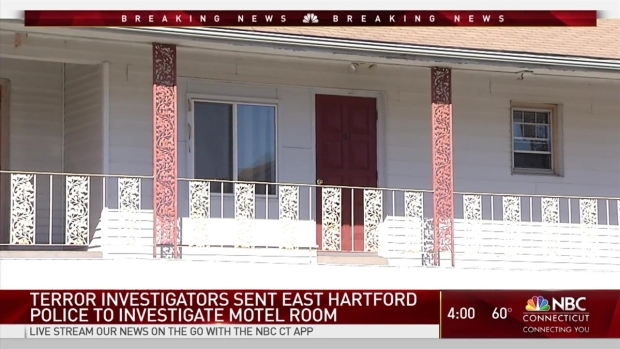 Police checked an East Hartford motel room five weeks ago at the request of the United States Joint Terrorism Task Force and found a computer, as well as several flight manuals, the NBC Connecticut Troubleshooters have learned. There is no known connection between the plane crash on Tuesday and the search of the motel in September, according to the FBI. 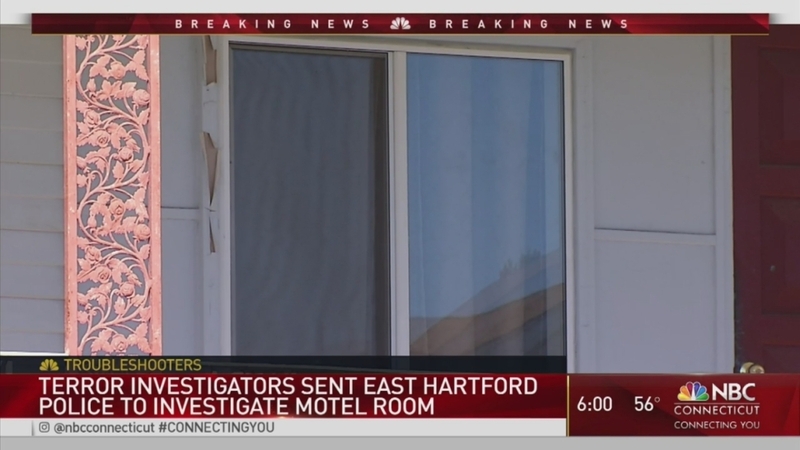 The room was in the Madison Motor Inn on Main Street, less than a mile from the scene of the plane crash on Tuesday, according to police department records obtained by the NBC Connecticut Troubleshooters. The NTSB said the plane crash Tuesday was intentional. Inside the room, rented by a 22-year-old Jordanian man, East Hartford officers found a computer and several flight manuals. The motel manager told police the guest told her he was a flight attendant and did not want his room checked on a daily basis, which was against motel policy. She said she had not seen the man in several days and he was late in paying for the room, and told officers she would keep all the materials left in the room for safe keeping. According to East Hartford Police documents, police were escorted into the room and found a computer, several flight manuals, some documents and, what the owner said, was wads of $100 bills. The owner said the man stayed for almost another week and told her he was "flying back to my country," NBC Connecticut Troubleshooters learned. "Young kid," the 22-year-old's family friend, Qusai Al-Qadumi, told NBC Connecticut. "He wanted to come here just to visit the states and go around." "If you heard he had a bunch of ID's or anything, don't believe it because I've seen the whole thing," Al-Qadumi said. "He doesn't have nothing. He just came like any other kid he want to go around visiting Los Angles, New York, all over the place."